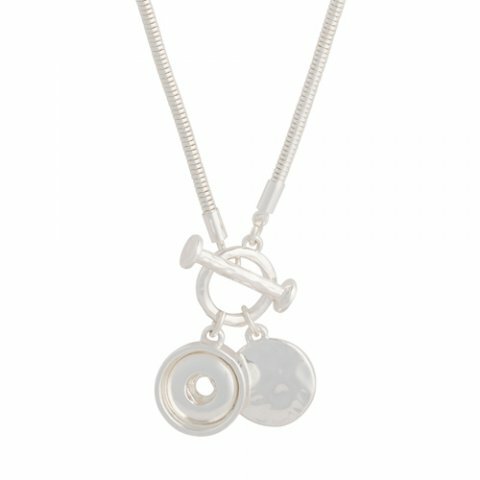 A forged disc adds light-catching detail to this modern necklace. The front toggle closure makes it so easy to put on and since you can snap in a different Dot everyday to match your outfit, this is going to become your favorite piece. Pair it up with any of the other Forged items in the collection for a very put-together look.